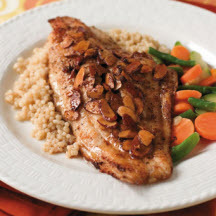 CooksRecipes has quality, kitchen-tested recipes for catfish dishes that you can count on for successful deliciousness. 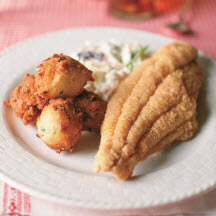 This is Southern comfort food at its best — crispy fried catfish fillets served with hot hushpuppies and a homemade tartar sauce. 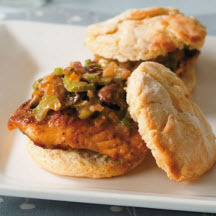 Pan-fried catfish fillets are served in biscuits with a Cajun-style bell pepper and mushroom cream sauce.